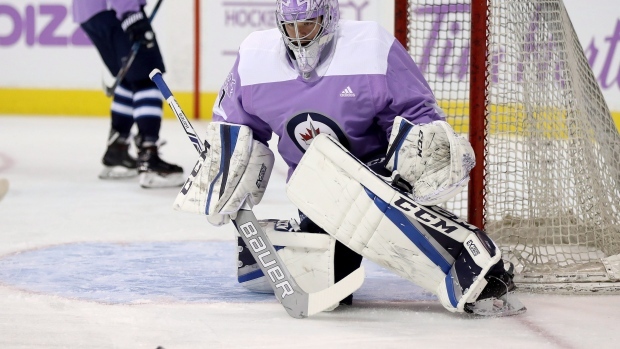 The Winnipeg Jets announced the team has recalled goalie Eric Comrie from their AHL affiliate, the Manitoba Moose, on an emergency basis. Laurent Brossoit left Thursday's 5-0 loss to the Vegas Golden Knights with a suspected lower-body injury. In 45 games for the AHL's Moose this season, Comrie 23-16-2 record with a 2.75 goals against average and .916 save percentage.